LASIK is a common surgical procedure that is performed everyday throughout the United States. The biggest concern that most patients have surrounds recovery. It is important to note that although the surgery last only a few minutes per eye, the long-term recovery process, complete healing, can take upwards of six months. Here are some common side effects and how you can relieve them. Most LASIK patients describe a certain level of discomfort during and after laser vision surgery. The most common sensations are light sensitivity, burning, or ripping. Some patients say they barely notice these symptoms while others find them to be quite bothersome. Symptoms can vary a great deal between what LASIK procedures and technique was used. This minor pain and overall discomfort should dissipate in about two to four hours after the surgery. Redness is a normal side effect of laser vision surgery and recovery. Some patients experience dark red spots in the whites of their eyes for a couple of days after their surgery. These spots are very similar to bruising and can take weeks to completely disappear. One of the most common symptoms after LASIK is dry eyes. 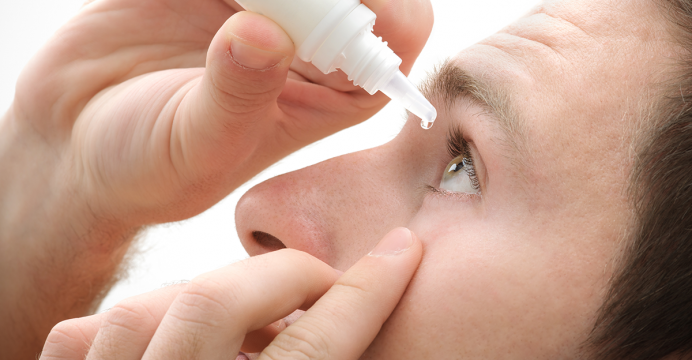 More than fifty percent of patients express their need for eye drops after surgery. Surgeons will recommend you purchase eye drops before the surgery in addition to the prescription eye drops that are prescribed to prevent infection and inflammation. After the procedure you will be required to meet with your surgeon the next day for a post-operative appointment. During this appointment you will have your vision checked and the ophthalmologist will check to make sure that your corneas are healing. This is the time to address any symptoms you are experiencing with your doctor. You will have several appointments throughout the healing process to verify that they process is occurring properly. The intervals for these appointments will be one month, three months, and six months. At the sixth month visit your eyes should be completely healed and your vision stabilized. After surgery, to avoid complications, there are a number of activities that should be avoided including from wearing make-up to avoiding strenuous activities. It is also important to avoid getting soap and water in your eye and you should avoid swimming or any activity in which you submerse your head in water. Computer use should also be avoided or used cautiously. Recovering from cataract surgery should be relatively short and unexciting especially when your health is good and there aren’t any other major issues with your eyes. Based on statistics, once a cataract has been removed your chances of an excellent outcome and sharper vision. Cataract surgeries without complications most often takes under ten minutes from start to finish. Right after surgery patients will rest in a recovery room until the affects of sedation and anesthesia wear off. Recovery usually lasts anywhere between a half hour to an hour. You will not be able to see clearly right away so it is important to have someone available to drive you home after cataract surgery. Patients are given a pair of sunglasses for the ride home to protect their eyes from the sunshine and light glare. Once patients are at home they are advised to take it easy for the rest of the day. Your surgeon will tell when you can take off the protective shield that has been placed over your eye. This is usually possible after several hours however, it is important to follow the instructions that you are given for your unique situation. Remember that you will need to use the protective shield when you are sleeping for protection while your eye is recovering from surgery. This will need to be done for several days. Your vision will appear cloudy and distorted for awhile once you have removed the shield from your eye. Your vision can take some time to adjust after the removal of a cataract. Once your eye adapts to the intraocular lens that has replaced your natural lens the cloudiness in your eye will disappear. However, during this process some patients mention that their vision is a bit wavy and distorted. If you experience this, it is important to note that it should last only about an hour. 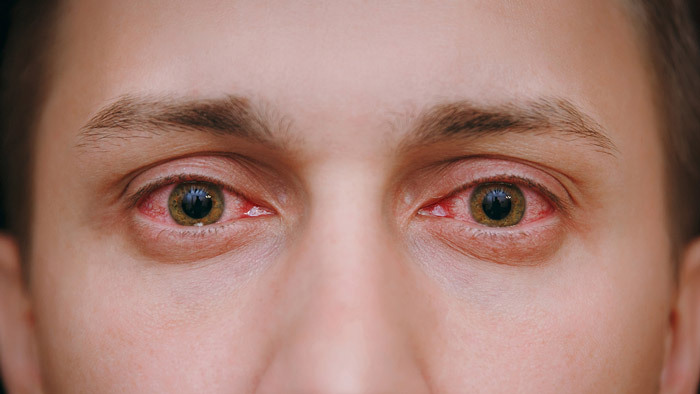 After cataract surgery you may notice that your eyes are redder and bloodshot. This is temporary because of damage to the blood vessels on the surface of the white part of your eye that can occur during surgery. As your eye heals from cataract surgery this redness will disappear. Many cataract patients report that their vision is clear within hours after surgery. This however, varies from patient to patient. Each person heals at a different speed. It is crucial that you do not rush your recovery. Even though some patients see clearly within hours of surgery some take as long as a week or two before they see sharp images. Cataract patients will most often see their surgeon the day after their surgery to look for signs of complications. After this period, it will be up to each patient individually to contact their surgeon if they have concerns or don’t feel the improvement in their vision is occurring how they thought it would. Some people report dry, scratchy eyes right after cataract surgery however, as your eye begins to heal this will slowly fade. About a month after cataract surgery patients are considered recovered and their eyes should be completely healed. Cloudiness over the natural lens of the eye, which sites in back of the iris and pupil is an eye disease known as CATARACTS. Cataracts are the most common cause of vision loss for people over forty. In fact, cataracts are the leading cause of blindness throughout the world. More cases of cataracts are diagnosed worldwide than diabetic retinopathy, macular degeneration, and glaucoma put together. There are currently more than twenty-two million Americans over forty with cataracts which is expected to grow to over thirty million by the year 2020. Subcapsular Cataracts: Subcapsular cataracts often affect people with diabetes or those taking high doses of steroid medication. This type of cataract occurs at the back of the lens. Nuclear Cataracts: Nuclear cataracts are most often associated with aging and are located deep within the central zone, nucleus, of the lens. Cortical Cataracts: Cortical cataracts start in the periphery of the lens and work toward the middle like the spoke of a wheel. This type of cataract occurs in the lens cortex. The lens cortex is the part of the lens that surrounds the center nucleus. At first a cataract has very little effect on your vision as it starts out small. Your vision may appear a bit hazy or blurred at first, as if you are looking at life through a cloud. If you start to notice you are seeing things a bit blurrier than you once did it may be time to have your eyes tested to see if your vision issues are caused by cataracts. When you have a cataract light of all kinds, natural and artificial, may appear intense. When you are driving at night the headlight may glare more vividly than they previously had been seen. Depending on the type of cataracts that you have could determine the symptoms you have and when they will start to appear. When the most common cataract, nuclear, first begins to develop a temporary improvement in your close-up vision may occur. This is often referred to as “second site.” This vision improvement only occurs for a short period of time and disappears as the cataract continues to develop. Subcapsular cataracts, on the other hand, may not produce symptoms until it has developed completely. To diagnosis cataracts you must schedule an appointment to meet with your ophthalmologist. Once they have completed a thorough eye exam they can suggest a treatment option, surgical or not. Lasik surgery is not the cure all for every eye sight issue. Not every issue that you have with your vision will be solved with the same surgery; just like every ailment with your body can’t be solved by undergoing the same surgical procedure. In the article below we will educate patients on the most common eye issues that laser eye surgery, LASIK, can possibly remedy. The three most common problems that patients are bothered by that can be treated with LASIK include: nearsightedness, farsightedness, and blurred vision. When you meet with your ophthalmologist they will measure your vision. Vision is measured using units known as diopter. If you are nearsighted this final number is expressed as a negative number whereas farsightedness is represented with a positive number. Many patients that are plagued by nearsightedness can find their vision corrected with LASIK surgery. LASIK eye surgery provides successful results to most patients suffering from Myopia however, severe cases may be told that laser surgery is not right for them. A consultation will be done to see where your vision lays on the spectrum to determine if LASIK is an option for you. Although LASIK surgery is available to patients with farsightedness the consultation is a bit more in depth than it is for nearsightedness. The evaluation of patients goes into greater depths as it is important to determine the degree at which the cornea is flattened. With a flat cornea the eye is shorter than normal and causes object that are in the distance to focus behind the retina. Patients with blurred vision in one or both of their eyes most likely have a condition known as astigmatism. This occurs because of an uneven steepening of the cornea. Often this ailment can be corrected through LASIK surgery. As previously stated, the first step in determining if the problem you are experiencing with your eyesight makes you a candidate for LASIK is to schedule a consultation to meet with the surgeon. Even if laser surgery is not an optimal treatment of your condition it is important for you to understand that you have other options, both surgical and non-surgical. The professionals at Rohr Eye & Laser Center focus your treatment plan around achieving the best possible results for the candidate. If LASIK isn’t going to give you the result you are looking to achieve we will explore both surgical and non-surgical solutions that provide you with the vision of your dreams. Our eyes are arguably the most important of our five senses. Even though we know this there are a few bad habits that all of us are guilty of that can severely damage our eye sight. There are some bad habits that don’t really seem to pose a major threat like biting your fingernails but there are others like not flossing or smoking that can literally cause our teeth to fall out. When it comes to these 4 bad habits that affect our eye sight it is crucial that we take the steps necessary to stop the impact they have on our vision. It is hard in the world that we live in now to not spend a ton of time in front of a screen. Whether its for work or pleasure, a cell phone, computer, or television the amount of time we spend focused on the screen can harm our eyesight. Screens emit a blue light that has been known to be a contributor of eye strain. To avoid the strain that screens put on your eyes it is advised to take frequent breaks throughout the day. This will help your eyes rest and prevent the strain from causing permanent damage to your eyesight. There are several reasons that rubbing your eyes can be harmful to your vision. First off, our hands are constantly touching surfaces that are covered with germs. These germs are easily transferred from our hands into our eyes exposing them to god knows what we have picked up along the way. Cornea damage is also possible from the constant motion of rubbing your eyes. Damage done to your eyes cornea often results in the loss of vision. If you are rubbing your eyes to rid them of debris, it is important to remember that your eyes will automatically produce tears if your eye needs to wash away foreign elements your eye is exposed. To properly care for your vision, try to keep your hands away from your eyes as much as possible. If you find this impossible keep your hands clean using soap and water or anti-bacteria hand wash. It is inevitable that after a late night we accidentally fall asleep with a full face of makeup on. Not only is this terrible for your complexion it can be incredibly harmful to your eyes. It is important to make a habit out of removing all makeup from your face at the end of the day. Makeup collects a wide range of bacteria throughout the day that transfers to your pillow case if not washed off properly. This greatly reduces your risk of developing an eye infection. We have all heard about how UV rays affect our skin but what about our eyes? Sunglasses are a popular accessory that really are a necessity in protecting your eyes not only from the damaging UV rays but also to exposure of direct sunlight as well as wind. Damage from exposure to UV rays can lead to cataracts and macular degeneration. Play it safe and head these warnings from local ophthalmologists on the harmful effects of improperly caring for your eyes. After LASIK eye surgery patients should expect an increasing freedom in their lifestyles. There is a new-found convenience that is found after laser vision correction. Upwards of ninety percent of LASIK patients state that they are more than satisfied with the results seen after surgery. In fact, there are a number of lifestyle changes that are mentioned over and over when talking about the independence vision correction surgery gives patients. Imagine how annoying it is to have to get up and take out your contact lenses after watching television in bed and gotten comfortable or worse yet falling asleep with your glasses on, rolling over, and breaking them. LASIK allows people to enjoy clear vision twenty-four hours a day and seven days a week without the weight and irritation of glasses rubbing against your nose or cheeks or the uncomfortable feeling of dry eyes in the morning. Clear vision makes a huge transformation in patient’s everyday routines including catching some late-night television. Costs associated with vision exams, yearly contacts, and eyeglasses can really add up to a lot of money over the course of a year. The updates in your prescription and the constant need for replacement glasses can cost upwards of a thousand dollars. Not only do they cost more financially, contacts cost you in time as well. There is a significant amount of time involved in caring for your contact lenses. With LASIK eye surgery the time and financial costs of taking care of your eyes decreases significantly. Have you ever tried running with glasses on? LASIK makes it possible to participate in sports without the inconvenience of contacts or glasses. Patients that are into swimming can swim without needing expensive prescription goggles or risking the loss of a contact lens in the water. Not only can this increase your performance in sporting activities it can add comfort in participation. Without the need for eyeglasses, LASIK patients will experience a change in their physical appearance. Women may find a new-found love for makeup as they no longer need to hide their eyes behind glasses. In fact, men and women both enjoy the cosmetic changes of laser eye correction whether they are at home, work, or play. Without the need for prescription eyeglasses you have a world of sun glass options to choose from. Sunglasses are an especially important fact of life for LASIK patients as they help protect your newly fixed eyes from the damaging rays of the sun. Of course, the greatest advantage of laser correction surgery is the reward of clear vision. Reward yourself today with a free LASIK consultation with the professionals at Michigan Lasik – Rohr Eye & Laser Center. Can Surgery Fix an Astigmatism? During the last few decades a variety of methods to treat an astigmatism have grown widely accepted. An astigmatism is a defect in your eye or in the lens that is caused by an abnormality on the spherical shape of your eye which distorts images. When a patient has an astigmatism, the light rays entering the eye are prevented from meeting to come to a common focus point. The most common treatment has been to wear eyeglasses or contact lenses and more recently laser surgery correction. Although all three treatment options are acceptable in treating an astigmatism it is important to understand the options to make an informed decision regarding treatment based on your lifestyle. Myopic Astigmatism: Otherwise known as nearsightedness means that either one or both of your eyes are myopic, shortsighted, in varying degrees. Hyperopic Astigmatism: Otherwise known as farsightedness means that either one or both of your eyes are hyperopic in varying degrees. Mixed Astigmatism: This occurs when both types of astigmatisms are present, myopic astigmatism in one eye and hyperopic in the other. Astigmatisms can be either regular or irregular. With a regular astigmatism the principal meridians are perpendicular to one another, ninety degrees apart. With an irregular astigmatism the principal meridians are not perpendicular. The most common is a regular corneal astigmatism meaning that the front of the eyes surface is oval in shape. LASIK surgery is one of the ways that an astigmatism can be fixed. Laser vision surgery corrects the asymmetrical shape of the front surface of the eye, the cornea. Lasik takes the cornea of the eye from the shape of a football, the astigmatism, back to the shape of a baseball. The lasers reshape the cornea and in turn correct the astigmatism. Laser surgery correction to treat an astigmatism is usually done in under fifteen minutes and can be completed without anesthesia. The reshaping of the cornea in the eye often takes under a minute per eye. LASIK surgery is done with the advanced technology of an eye tracker that works by monitoring your eyes position and adjusting the laser as needed throughout the surgery. Astigmatisms are easily corrected with glasses and contacts but if you lead a more active lifestyle or want added convenience in your life consider LASIK vision correction. Getting the best result out of your laser eye surgery occurs when you take the necessary steps to prepare for before and after the procedure. As with any surgery, there are certain risks involved. This is just one of the reasons it is important that you do everything possible to prevent issues from arising. Below you will find some basic tips that can help assure you get the best results possible from your LASIK procedure. Even before LASIK is scheduled there are certain things that you can do to adjust your routine in order to receive the best results from your laser eye surgery. If you wear contact lenses, it is best to stop wearing them for a few weeks leading up to the surgery. Contact lenses distort the shape of the cornea which can cause the results from your LASIK procedure to be less than perfect. Do not use any type of eye drops for at least a week before your laser vision correction surgery. Avoid scents and makeup for a few days leading up to the procedure as well including the day of. The day of it is important not to use creams, lotion, or any other chemical substance near your eyes. Any and all eye conditions that you have previously suffered from are important details to mention to your eye surgeon. Arrange for transportation to and from the surgery. If at all possible, find someone who is willing to stay with you as well. You will be under the influence of medication for awhile after the surgery and your sight will be off, so driving is not advised. There are many ways in which to enhance your healing after LASIK. For the best results post-surgery follow the advice of your eye surgeon and consider the tips below. Hold off on bathing above your neck for the first few days post-op. The last thing that you want to do is to accidentally expose the area to any soaps or chemicals accidentally. Do not use any types of creams, makeup, face products, or scents near your eyes. Also, wait to modify your hair color for a few weeks after surgery. Your eyes will be incredibly sensitive, and the chemical scent can literally burn your eyes. Avoid exercise as well. Skip strenuous workouts for at least a week. Your body needs time to heal after surgery and something as important as your eye sight is not worth risking. Throw out older makeup and start fresh. Makeup harbors bacteria and even though you won’t be wearing it for awhile it is important to not compromise the health of your eyes with an infection. Use protective eye wear especially sunglasses when leaving the house. The sun can damage even the healthiest of eyes. Unhealed eyes are especially sensitive. Sunglasses also help to eliminate debris such as sand and other dirt particles from entering your eye. Laser eye surgery is performed to help improve a person’s eye sight. Most LASIK patients are seeking freedom from wearing eye glasses and contact lenses. If this describes what you are looking for, laser vision correction surgery may just be the best option for you. While laser eye surgery is effective in correcting the visions issues many Michigan residents are facing, the procedure cannot be performed on everyone. If you or a loved one are considering laser surgery, it is important to schedule an appointment with a LASIK surgeon to discuss your specific needs. If you are just beginning to look into this treatment option as an effective method to correct your vision issues there are some general guidelines below to consider. First it is important to note that laser eye surgery is not performed on candidates under eighteen years of age. In fact, many eye surgeons prefer that clients be a bit older to undergo the procedure. As you age your vision tends to change even more. In order to avoid having to perform LASIK more than once it is best done on candidates whose vision is less likely to change drastically in the coming years. The health of your eyes is another element to consider. Laser eye surgery is performed to correct eye sight. To qualify, your eyes must me healthy and free from eye disease, infection, scars, and corneal abnormalities. As a LASIK patient you are required to lay down. It is important that you are able to do so without experiencing pain or discomfort. Vision correction using a laser will be an impossible surgery to undergo if you are unable to lay flat for a period of time without being in pain. Patients undergoing laser vision correction must be able to keep their eyes focused on a single light point for a few minutes. This helps to guarantee positive results. With the technology that is used today, lasers have the capacity to keep up with a patient’s eye movement however, the results of those who are able to focus without eye movement often have better results. Patients must not wear their contact for about a month before the laser eye correction procedure. This is because, contact lenses affect the shape of the cornea and will in turn affect the results of the eye examination that is done. For the most accurate eye exam and results, patients must rely solely on their eye glasses for a significant period of time before their surgery. As with any type of procedure or surgery there is a fair share of risk involved. With this in mind all patients must sign a consent waiver prior to surgery. It offers hospitals and medical practitioners protection from legal ramifications if something goes wrong during the procedure. This is most often NOT the case but is becoming more and more procedural before surgical events. Call to schedule an appointment with a local eye surgeon today to see if you qualify to undergo LASIK. Chances are if you are over eighteen, your eyes are healthy, you are able to lay flat for an extended period of time without discomfort, you can live without your contact lenses for a month, and can assume the risks involved you will be a perfect laser eye correction patient.